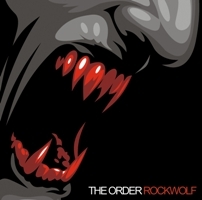 ‘Rockwolf’ is the title and their music is kinda close to a mix between Thunderhead, Krokus/AC-DC and Van Halen. We get 10 songs and most of them are packed with simple yet catchy riffs, catchy choruses and quite catchy guitar solos. Actually there are only 2 crappy songs to be found on ‘Rockwolf’, namely the boring “Endlessly” and the cover of the horrible Duran Duran track “Wild Boys”. This track does not belong on this album in my humble opinion... but what the heck... I just press stop after the first 9 tracks.